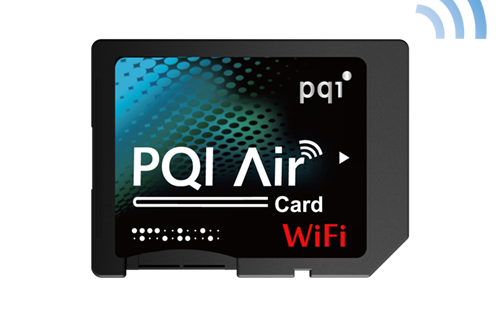 PQI introduces the next in wireless revolution - the PQI Air Card Wi-Fi Memory Card! The PQI Air Card incorporates the latest Wi-Fi technology into a standard memory card, enabling "instant sharing" anytime and anywhere without the need of annoying wires. Regardless of the location, files can be immediately transferred in a simple step without the need of a computer or card reader, and the instant sharing of files will no longer be a problem. PQI brings an unprecedented convenience unseen in previous technology.